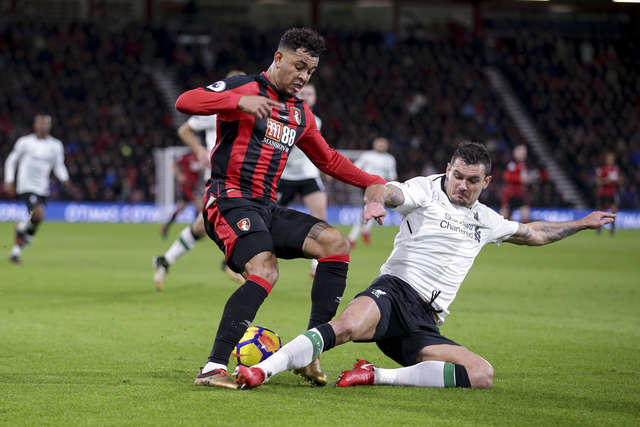 AFC Bournemouth manager Eddie Howe admitted that there haven't been many times in his Cherries career that he has felt how he felt after the Liverpool game. The boss reflected on the 4-0 defeat to the Reds at Vitality in his post-match press conference. I think it's an understatement to say that was a tough one to take. There's not been many times as Bournemouth manager that I've felt like this after match. In football management it happens though, we're extremely disappointed but it's how we respond, that's the key thing. I think the performance was down to a combination of things, when you don't perform well against the top sides it becomes difficult. We were below where we needed to be, Liverpool have players that can hurt you. We didn't keep the ball well enough, we turned it over too much, it was so disappointing as we wanted to give the supporters and the club more in a high profile match. The squad feel the responsibility of course. You'll never get me criticising my players in public, or losing faith in them. That will never happen, we're in a difficult situation we're well aware of our position. It's a misconception that we're not in a relegation battle, we're in our third season now and we're under no illusions. We don't know the situation with either player, it's a huge worry though regarding Charlie Daniels and Joshua King. It was a hamstring injury with King and a groin injury for Daniels so we're not sure at the moment. Callum Wilson had an injection in his knee for a really minute problem. It's nothing serious.